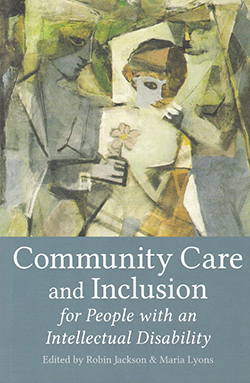 A variety of reflective and philosophical accounts that explore the widest context of community care are included in this book. It is a collection of personal views and experiences from several authors. There are several examples focusing on the provision of the Camphill Village model across the world and these help to provide a philosophical continuity throughout the book. Simon Jarrett ’s chapter provides a useful reminder of the history of exclusion and inclusion of people who have learning disabilities. He concludes that exclusion is an anomaly which has only been in place for 150 years. There are several international examples. The description of the National Disability Insurance Scheme in Australia is interesting. Robert Cummins concludes this is one of the most important social reforms, suggesting its introduction ‘has normalised disability’ because all Australians contribute to it directly. The book is aimed at researchers, policy-makers and practitioners working with people who have learning disabilities. Nurses may find it of interest, particularly when considering and challenging the current context of community as a panacea for ensuring effective care and inclusion.